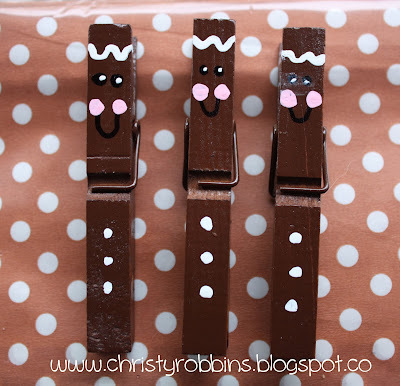 I'm slightly (completely) obsessed with gingerbread men, so when I saw gingerbread clips at eyeballs I know I had to add this project to my gingerbread collection. Really, a collection I house here on pinterest. 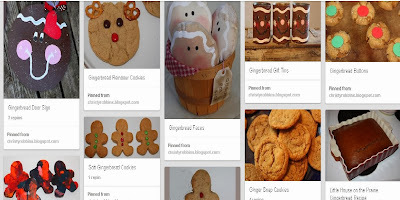 Just a few dozen gingerbread themed crafts...because admitting you have a problem is the first step. 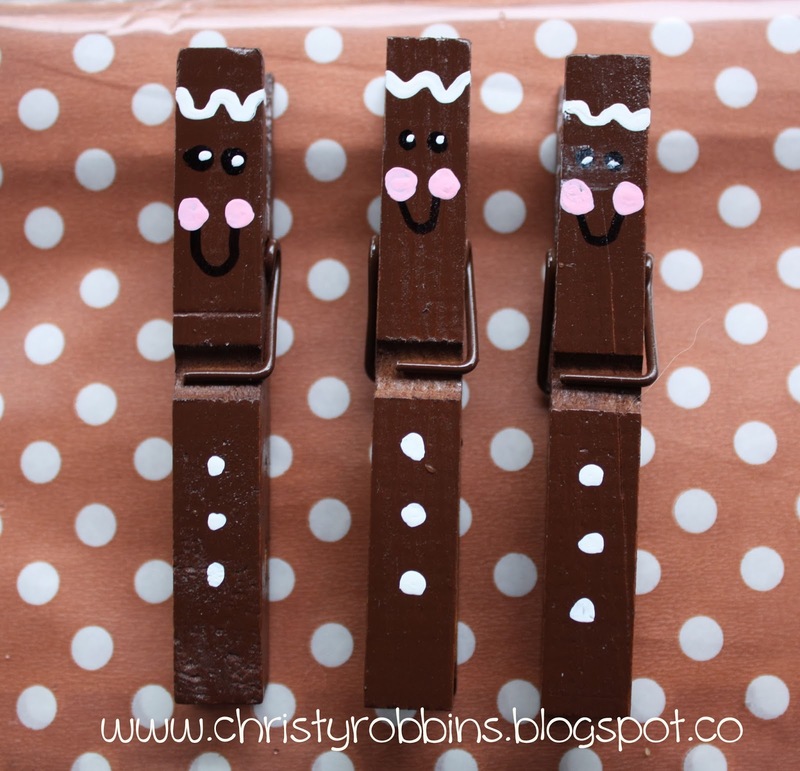 The clips were super easy-I took wooden clothes pins and sprayed them brown with paint, then added some face-I put the black on with a permanent marker and the rest with a thin brush per the instructions. I'm going to use these to clothes some cookie bags.